Used to hold the metal or plastic fluid reservoir. Series 3, models with non-servo brake systems only. Yellow zinc nickel electro-plated finish. 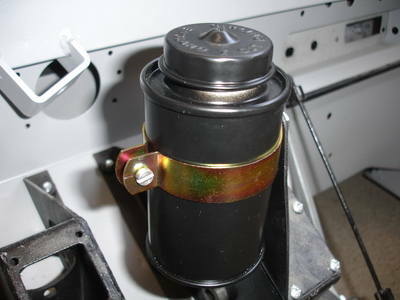 For non-Land-Rover use, internal diameter of clip is 2½" (65mm).